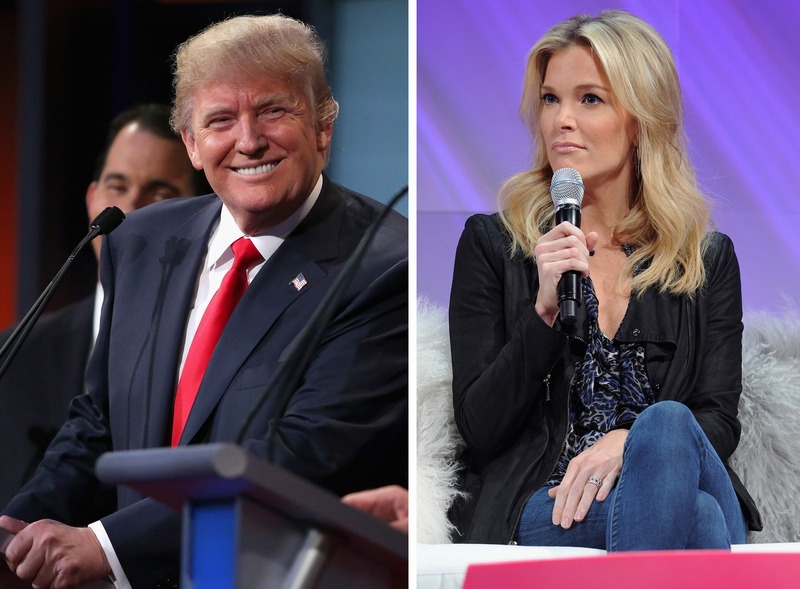 On Charlie Rose Wednesday night, Fox News host Megyn Kelly finally opened up about Donald Trump and the months-long quarrel with the GOP presidential nominee. Kelly seemed to put his past attacks behind her and said her network didn't want "any sort of a war" with Trump. Then in a show of goodwill (or media genius), Kelly said she thinks Trump will return to her show, telling Rose, "I'm sure he'll come back on eventually." It makes you wonder: Is this about moving on or potentially awesome ratings in a few weeks? The conflict between Trump and the news anchor began at the first Republican debate when she questioned him about his insults of women, which included calling them "fat pigs, dogs, slobs and disgusting animals." Kelly asked him straight-up, "Does that sound to you like the temperament of a man we should elect as president?" Needless to say, Trump was not pleased. After the debate, he accused her of being out to get him, perhaps because she had "blood coming out of her whatever," which some interpreted to mean she was menstruating. He denied that's what he meant, but in the following weeks, he never stopped the attacks. Tweeting at her later in August, he called her "off her game" and then retweeted someone who called her a "bimbo." On Wednesday night, Rose asked how the network and Fox News CEO and Chairman Roger Ailes had counseled Kelly through the controversy. Rose suggested Fox News may have abandoned Kelly for Trump because of ratings, but Kelly denied the implication. But that wasn't true. Roger and I spoke every day for over an hour at times. And he wanted to make sure I was OK. He wanted to, you know, touch base on what he was thinking and what was happening on his end. ... Because neither one of us wanted any sort of a war with Donald Trump. You know, and we didn't think that benefited the channel. We didn't think it benefited me. And we don't think it benefited Donald Trump. And I think Donald Trump would say that now. But Rose's suggestion that ratings may have played into Fox News' priorities makes sense. Just last week Fox News announced Kelly's show The Kelly File finished first in the key ratings demographic of 25- to 54-year-olds from July to September for the first time ever. While definitely a huge accomplishment, the show would have come in second if it were not for its post-debate special on Aug. 6, which drew a large audience given the 24 million-strong lead-in. Trump's performance in that first debate gave all the talking heads plenty to pick apart on Kelly's special and for days to come on the network. Later in the interview, Rose asked if Kelly wants him back on her show. Notice her answer: "I'm sure he'll come back on eventually." She doesn't say she wants him on, but it seems she knows that this is how this sort of thing works. Trump needs Fox News. That's where his constituency gets its information, and appearances on the network are a huge way for him to reach potential voters. And Kelly needs Trump too. Despite what she might think of him — and you have to respect her for asking him difficult questions — Kelly benefits from the buzz he draws. Well, it has to be just right. I think that will be a big moment. Don’t you think that will be a big television moment? So how much is this one-sided détente about closure and how much is it about future ratings bonanza from this "big television moment?" It's probably both. Trump and Kelly both win if they can spar again on prime time cable news. Kelly went on to say she wanted to "forge forward" and "not pour any more fuel on that fire." But maybe just enough fuel for viewers to tune in.